Part of the Conversations in Public Relations series produced by Mary Fletcher Jones and David Hyson. 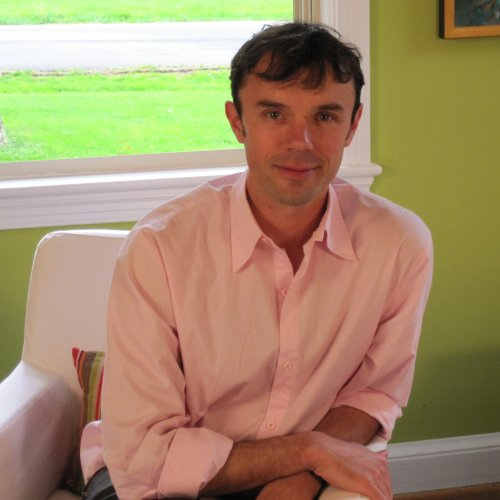 Peter Corbett of iStrategyLabs http://www.istrategylabs.com runs a successful digital agency in Washington, DC. In this conversation with Mary Fletcher Jones, Peter expresses some strong views about what it takes to be successful in this business. Do you agree with Peter? Contribute your opinion in the comments. 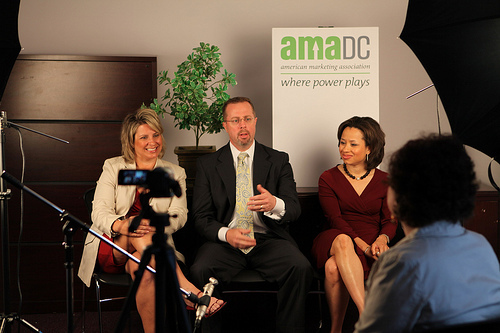 The leaders of the Washington, DC chapter of the American Marketing Association (AMADC) discuss their organization’s rebranding efforts, membership offerings, and their signature annual event, Spring Mix (taking place May 24). Appearing in the video are Brendan Hurley, Christie Susko, and Maurisa Potts. 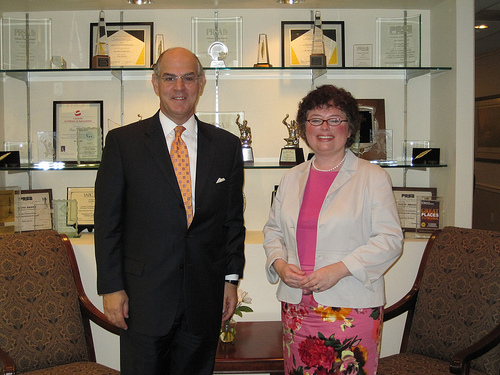 Interview by Mary Fletcher Jones for Conversations in Public Relations and Examiner.com. 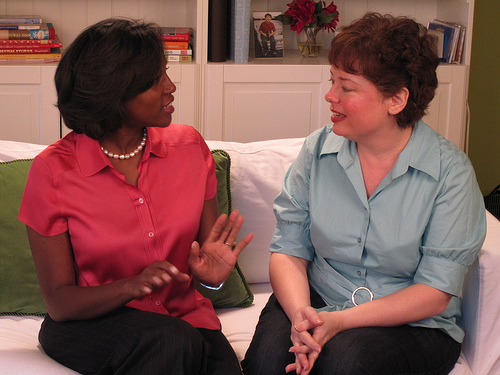 Get your brain active by reading a short article or talking with someone you like. Drink water (not ice cold) or warm tea or coffee. Move around a bit. It will both relax and energize you. Smile. It will help you feel more relaxed. Be prepared to talk on the topic we have agreed upon, in a natural way, without notes. We provide questions in advance and are available to talk about your topic before the interview. Our aim is to make you look good, but you should talk about a topic that you know backwards and forwards. Be confident! Practice with a friend or colleague in advance, if needed. Talk about what you are passionate about; or about what you are dying to share with others. The video interview only works if it is interesting, and your enthusiasm will help make it compelling. Allow me to ask you questions, and PLEASE answer the question I ask you! Resist the urge to work in another point you wanted to make. We can stop taping and we can address that point in another take. We will always give the opportunity to say what you need to say, and we provide links and cutaway images in the video. But if you dodge the question or go off on a tangent, it makes editing the video very difficult. Ask for re-takes, if you need them. We’re always happy to re-record answers. Everyone does it. Keep your replies brief and conversational, as if you were talking to someone socially. Remember, this is a conversation, not a monologue. You should not talk on for more than two minutes at a time in response to a question; three sentences is more like it. Periods are your friend! Long, run-sentences are very hard to edit, and the entire video may only be five minutes long, or less. If you need to share a longer response or anecdote, let us know so we can clip the tape and possibly record that segment as a separate video. Pauses are important. I can delete pauses, but deleting a string of ums because you were talking too fast is much more difficult to do. Take time to pause, breathe, and reflect on what you want to say. Ask for breaks if you need them. Interact with me. You can also ask me a question or comment on or clarify something I said. Interviews are hard for me, too. You are not the only one who is nervous. Make your replies interesting. The best way to do that is to share real-life examples about something you care about and to be as specific as possible. For example, if I ask you about your clients, either mention them or mention the types of clients you serve, and describe a recent project you worked on. Make the stories your relate vivid and different. Paint a picture for the audience. Talk in a normal volume and tone of voice. Our microphone is fairly sensitive. Smile AND pause at the end of your reply, for each question. We leave a little cushion of space around replies. We pause and hold, wordlessly. That’s because your answer may be moved around in the editing process. Some people are so relieved that they have finished responding to a question that their whole body sinks and their faces fall. This drops the energy in the video and it can be very difficult to correct in editing. Remember, when you stop talking, just stay quiet for a moment, keep your body and face up, don’t move too much, and hold your smile. (But only if appropriate for your topic. If you’re talking about something serious, just hold your position and thoughtful expression for a moment). It will seem unnatural to you at first, but it will look fine in the video, and it will save me time in editing. Plus, audiences need pauses to process what you have said. Engage with the “audience.” Feel free to connect with the “third person” in the room, who is the person who will be watching the video. Visualize this. If you think of it as a three-way conversation between you, me, and the viewer, this will come naturally. You can glance (occasionally) in David’s direction (when he is at the camera), or even position a friend in the room, or imagine there is a studio audience present. Watch how people who are interviewed on television sometimes glance away toward the audience or cameras, and how this makes you feel like part of the conversation. Comment on your videos. An easy way to do that is to subscribe to this blog and to the YouTube channel (http://www.youtube.com/user/PRConversations) You can also “favorite” or “like” your own videos. A comment from you also helps improve the SEO for your company and personal brand. Ask your employees and colleagues to subscribe and comment! The more comments, the higher your video will be ranked. Tell organizations that you belong to that you are appearing in the video. They might highlight it on their website on in their newsletter. Email the video link to your family and friends, and ask them to comment or rate them. After all, they are your biggest fans! Embed the video on your company web site or blog. YouTube makes it easy to do this. Most of our guests have not recorded an online video before. This is your chance to show your clients a personal side of you, and that builds trust. Tweet about the video, including the link, and tag your update with @FletcherPrince or @ConversationsPR. You can do that by including @FletcherPrince in your tweets about your video appearance. Call us and ask for more ideas (571) 269-7559. We are happy to help. Steven Mandzik — http://www.acleanlife.org — describes how he uses blogs, Twitter, Facebook, and other social media to promote a healthy lifestyle and a cleaner environment. His nonprofit organization, A Clean Life, offers support and tips, including a free, downloadable guide to local farmers’ markets. Since recording this interview, I’ve reduced the amount of my household garbage by more than half! Stephen’s recommendations for social media — and environmentally friendly lifestyle changes — really work. Produced by Mary Fletcher Jones and David Hyson for Conversations in Public Relations. Peter Stanton of Stanton Communications http://www.stantoncomm.com shares tips for new communicators about becoming informed and aware of ethical issues in public relations. 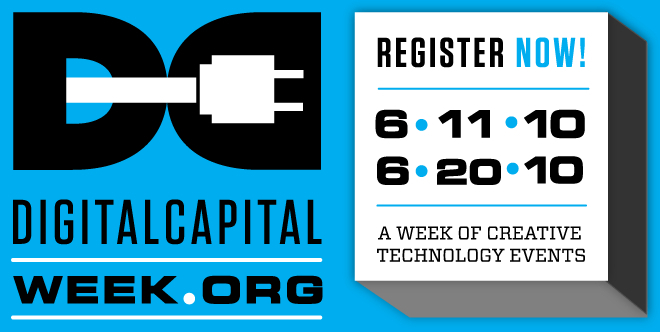 Plans for Digital Capital Week — a free festival focused on technology and social media taking place June 11 – 20, 2010 — are well under way. Tuesday, June 15, 9:30 a.m. Social and Traditional Media: How News and Media Organizations are Getting Social and Why They Need at Grosvenor Auditorium at National Geographic (1600 M Street, NW., Washington, DC). A panel event hosted by USA TODAY, looking at real and tactical ways news and media organizations are using social media to share content, engage readers and get results. Moderated by Carlos Roig, VP of Digital Media Strategy at Home Front Communications. Panelists: Andy Carvin – Senior Strategist for National Public Radio’s Social Media Desk; Robert Michael Murray – VP of Social Media for National Geographic; and Benet Wilson – Online Managing Editor for Aviation Week’s Business Aviation and Co-Chair of the National Association for Black Journalist’s Digital Journalism Task Force. 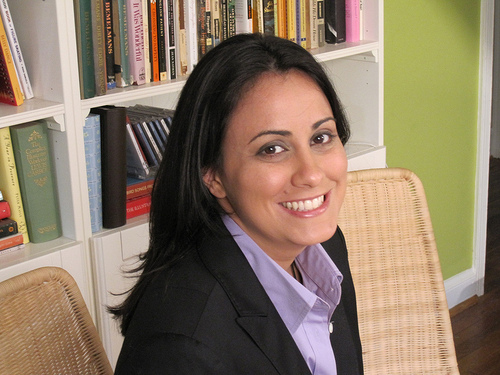 Midy Aponte, of the Sanchez Ricardo Agency, explains the best practices associated with marketing to Hispanic audiences in this Conversations in Public Relations video interview with Mary Fletcher Jones.